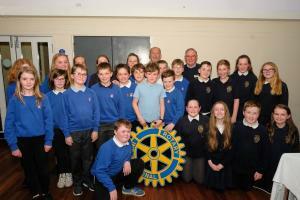 We held our annual primary school quiz at Haddington Golf Club on Tuesday and were delighted to welcome four teams from Haddington Primary School and two from St Mary's RC Primary School. 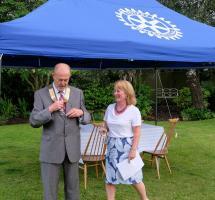 Alan Dunton took over as President of The Rotary Club of Haddington for 2018/19 from outgoing President Louise Begbie at our handover meeting on Tuesday 26th June. 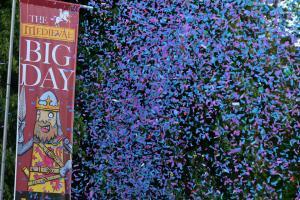 A day of entertainment and activites for all the family in celebration of the granting of the Royal Charter to Haddington by Robert the Bruce 700 years ago. 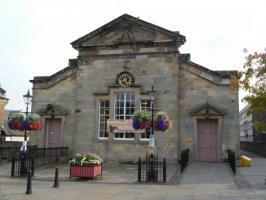 The Rotary Club of Haddington Community Organisations showcase event was held at Haddington Corn Exchange on Saturday 15th September. 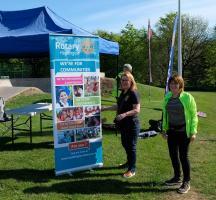 We had good sunny weather for our Freestyle Fun event in association with Skateboard Scotland at Haddington Skatepark last Saturday. We had fine weather for our competition this year. 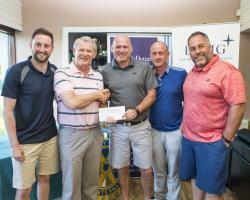 The winning team was 'The Winners' and 2nd Prize went to Saltire Executive Golf. The teams are shown receiving their prizes from Alex Mackie of Edinburgh Risk Management.